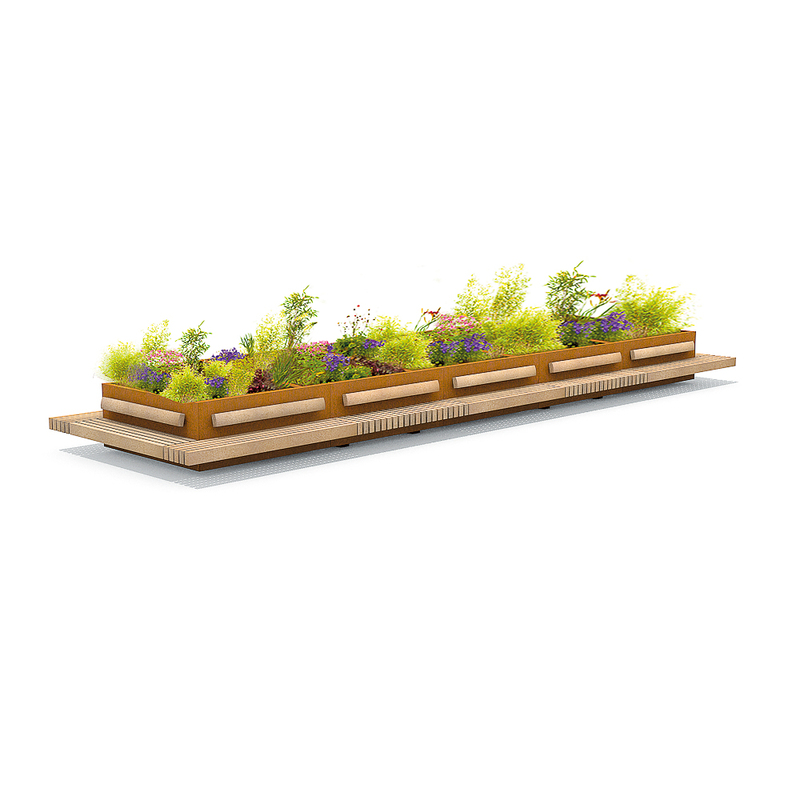 The Shrubtubs Tree Planters offer a stable base structure for mounting Rough&Ready wall benches and form the basis for the green Rough&Ready benches: Hug a Tubs. 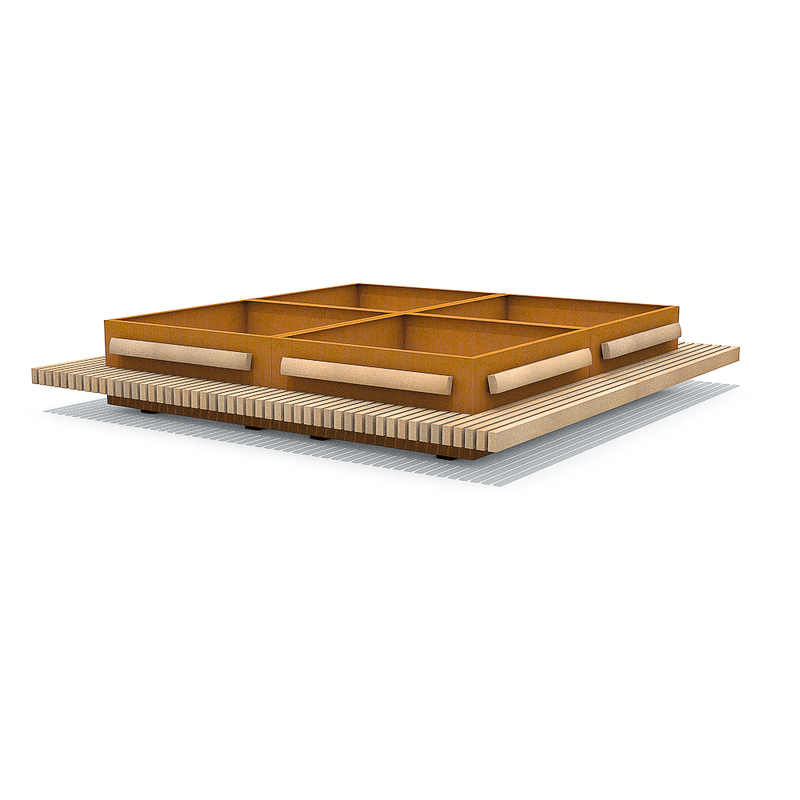 The Hug a Tub configurations remain mobile, making temporary layout variations possible. 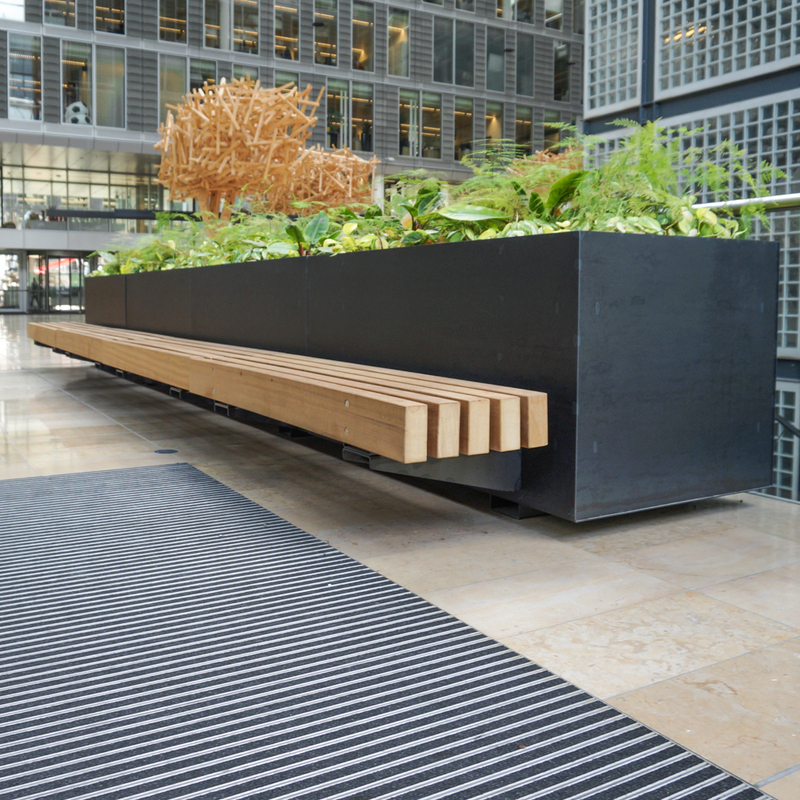 They are a highly attractive option for councils looking to equip empty squares or concrete decks with green recreational areas. The robust Rough&Ready beams all run in the same direction, which allows for beautiful corner assemblies. The R&R wall benches can be mounted one-sided, double-sided and corner-sided, as well as all around. 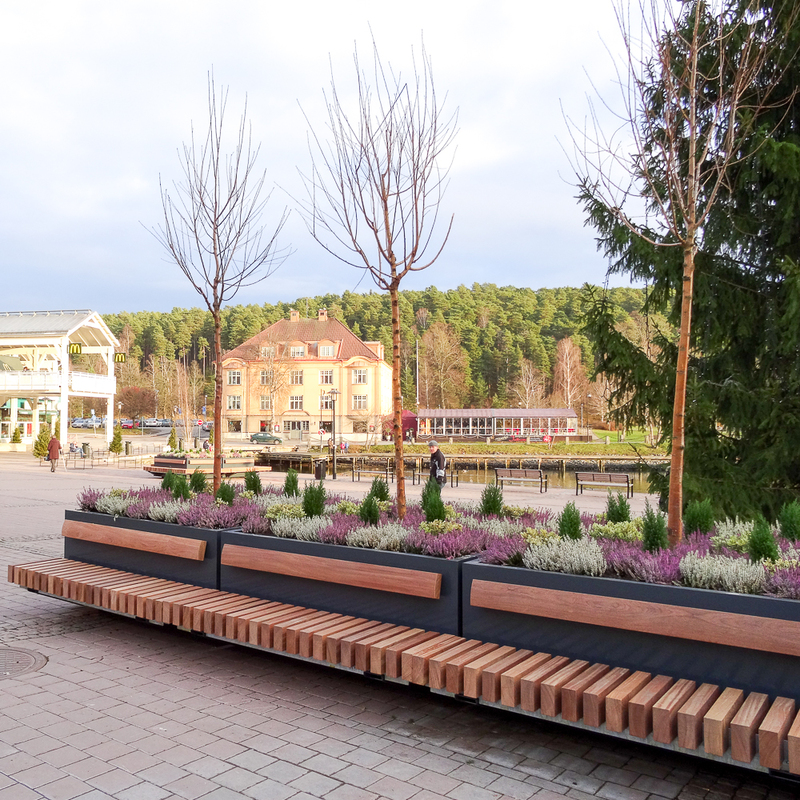 The tree planter, from which the benches hang, comes in square sizes of 150, 200 or 230 cm | 59", 79" or 91"